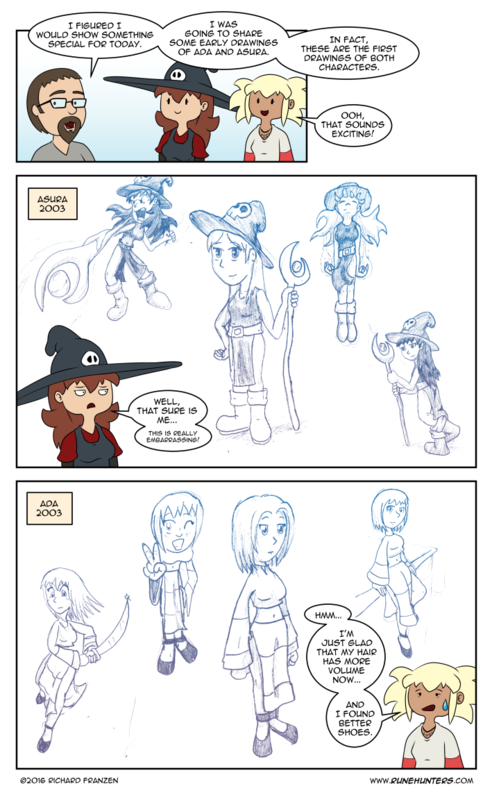 Here’s a comic about Rune Hunters in it’s very early days, with drawings from about 13 years ago. In it are the earliest drawings of both Asura and Ada, who I did have a general idea of some aspects of their design very early on. It’s interesting (and a bit embarrassing) to go back and look at ones early work like this.